The last time the two teams meet back in October ended with a superb 37-22 home win at Newlands Road for the hosts. 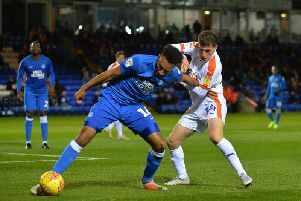 Luton’s points were scored by Denzel Edwards, Matt Yang, Tom Mahendran, Will Stacey, Harry Alston with two penalty kicks and three conversions from Jordan Davies. The good news for Luton is that they welcome back Davies from his injury, so all of the point scorers from the October game will play. However, they will miss Martin O’Grady, as his wife and he welcomed their child last week. Luton have not started January well, losing to both Diss and Sudbury, although Ruislip are currently one place below their visitors in the table, both teams on 17 points. First team manager Steve Evans said: “Whilst we won in our last match against them, we are not making any assumptions going into this match due to changes in the squad. Luton will travel with the following squad: Josh McCann, Dwayne Duffy, Luke Spellen, Brogan Mckeown, Callum Strachan, captain Ryan Staff, Will Stacey, Garth Spencer, Denzel Edwards, Karl Rodell, Matt Yang, Tom Mahendran, Harry Alston, Don Govere, Rees Bettell, Jordan Davies, Tyler Chant and Tom Winch.